Everything posted by Alan E.
I actually just fixed the wheelbase, when I had originally built this truck a while ago I was using the node from Blaise's original pack before the huge update he did. The tires are the ones Andrew had made. First truck in a pack that I'm working on currently. What Would You Say Is The Most Unique Truck? Interesting look for Bounty Hunter this year. 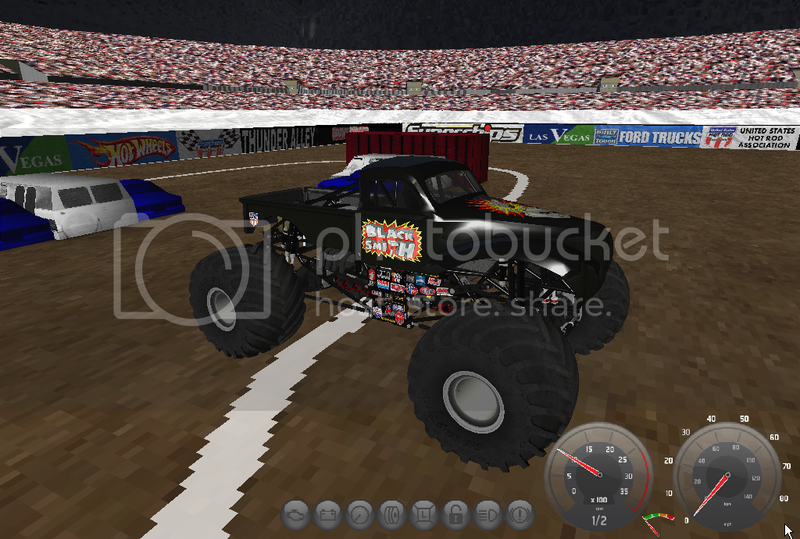 Got Black Stallion 2000 in game, Also repainted the Tires for the WF6 version. With Alien Invasion on the backburner for now I took some time away from releasing stuff to work on improving my trucks. I also decided to compile a list of trucks I've been wanting to do for a while. I few on the list are Updates to some of my currently uploaded trucks like SUD and Terminator, I'm also reviving a couple projects like Captain's Curse and Gas Monkey Garage. Anyways here's Gas Monkey. 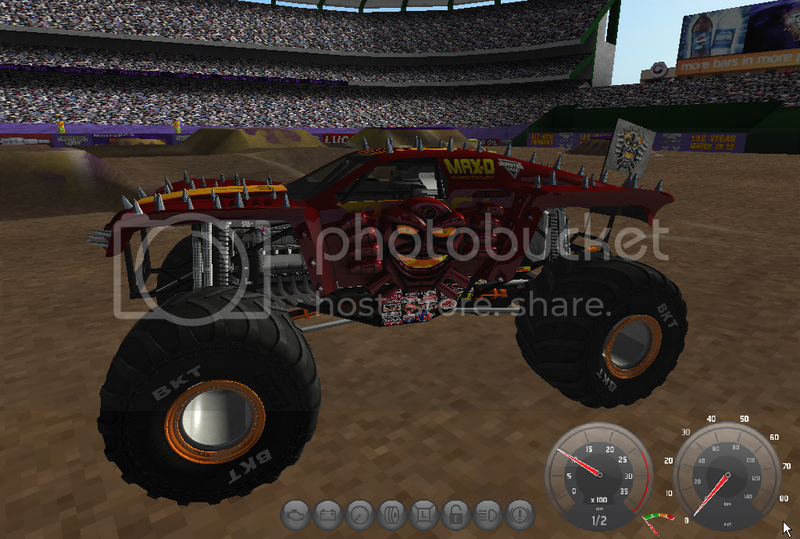 How many monster truck shows have you been to? yes, It was pain modeling that to look right. Working on the lights. I painted it on photoshop using the pen tool and various shapes for the lines while using the real truck and hot wheels as reference. Haven't posted anything truck related in a while. Been working on improving my trucks. Also figured I'd make a truck that hasn't been released on here. Might get back to redoing a few projects I started a while back after I finish this. My plan for this is to include both Chad Tingler's and Bernard Lyght's truck once this is completed.